With more people using WordPress than ever before, it’s no surprise that you may be considering using it as well. 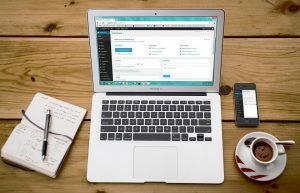 Whether you’re setting up a brand new website or merely wanting to improve your existing one, WordPress is a solid content management solution that can be customized for virtually every need and occasion. With thousands upon thousands of plugins available, you’ll have plenty of features, add-ons and options to choose from when customizing your pages. While you certainly don’t need to install tons of plugins, there are a few that you must have in order to ensure your website is running optimally. Today, we’ll discuss a few of them for you to consider. By far one of the most popular WordPress plugins, WordPress SEO by Yoast is highly downloaded for good reason. One of the best solutions any website or blog can use to optimize for SEO, this plugin will help you with everything from post titles to keywords and links. Even better, the plugin is intuitive enough to recognize which organic keywords in your content are most prominent, recommending them to you for use in other elements on-page. Since it’s absolutely free to try, we highly recommend using WordPress SEO for pinging links and content to search engine users. While common sense and good content is still needed, this plugin will help you avoid any rookie mistakes. Nobody wants to have broken links scattered across their website. For starters, broken links means that the content can’t be accessed by visitors. In addition, search engines notice these broken links and it can harm your site’s reputation. With the Broken Link Checker plugin, you can quickly scan your site for any potential offenders, identify them, and correct the problem quickly. The plugin finds out which links are broken, keeps track of activity on each page and can even be used to nofollow various broken links so that search engines don’t penalize you. We definitely recommend taking a look at this awesome solution. WordPress security is very important. Because so many websites run WordPress and due to the natural vulnerability of some plugins, thousands of sites are compromised each day. With the iThemes Security plugin, you can tighten down security on your website with ease. Including both automatic and advanced features, the plugin seeks out potential vulnerabilities in your installation and proceeds to correct the issue. Whether your plugins need updated or a more secure login function is required, iThemes Security makes it possible for you to drastically reduce the chances of having your website infiltrated. There are so many plugins that can be useful for your website, depending on its function and purpose. Regardless, any website requires a few simple things. Among them, security, functionality and search engine optimization. With the three plugins above, you can address all of these areas easily and ensure that your website is serving up content, pinging links and engaging visitors with the best of them. What are some other plugins you’d recommend to your fellow bloggers and site owners? Tell us below about them.